Scroll down for more info on our conversion headlights! Customize your car or light truck with a set of these 5 inch conversion head lights! 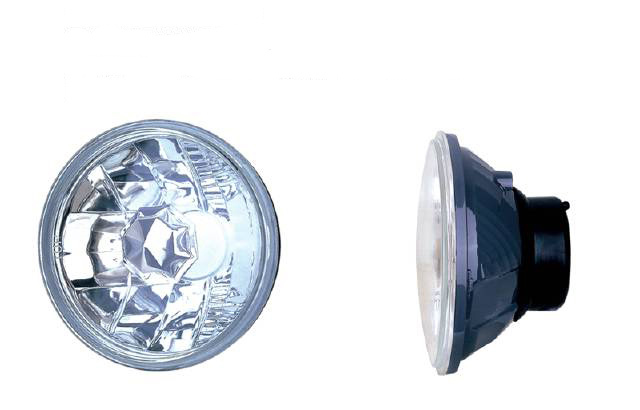 Our Conversion head lights are direct "Plug and Play" replacements for H5006 Sealed Beam head lamps. If you are tired of not being able to see the road very well at night with your original style "yellowish" headlamps installed on your ride, then you will definitely want to install a set of our conversion headlamps. You will never go back to those yellow sealed beams once you get on the road with these! Our conversion head lights are 2-4 times brighter than sealed beams! Direct Plug-and-Play Installation-These install in minutes with only simple tools and use the original wiring harness already installed on your vehicle! You Save 40% by shopping with us!